Iconic guitar virtuoso Hotei is famed for his original and iconic track “Battle Without Honor or Humanity”, instantly recognisable around the world as the powerful theme from Quentin Tarantino’s film Kill Bill. 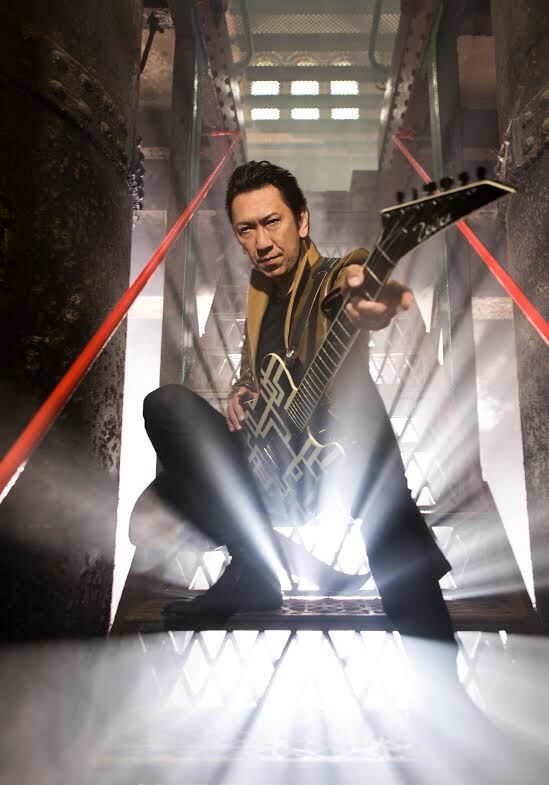 Hotei has had a stellar career spanning more than 3 decades, generating sales of more than 40 million records, and continues to be in demand as a composer and collaborator. In 2014 Hotei was named GQ Man of The Year, reflecting his status as one of Japan’s most successful musical and creative exports. Hotei’s musical curiosity and innovative style have led to numerous significant collaborations, and known for his electrifying live performances, he has shared the stage with the likes of The Rolling Stones, David Bowie, Roxy Music, Blondie and numerous others. Hotei’s new album “Strangers,” set for release on October 16th, is a genuinely unique, thoughtful, and diverse album-guitar-driven and equal parts rock, dance, punk, andelectro. It features an array of special guests from around the globe including iconic godfather of punk Iggy Pop, Richard Z. Kruspe of rock giants Emigrate/Rammstein, Matt Tuck from one of the UK’s most successful and bestloved rock bands Bullet For My Valentine, and Noko from electronic band pioneers Apollo 440. Expect an evening with an East meets West rock flavour, underpinned by incredible guitar playing and some musical surprises along the way. Who would you like to see Hotei collaborate with next? We will choose a winner at random on September 30th. The winner must be able to attend the 21st October performance and cover any transport costs themselves.